Packing is an essential first step to prepping any household item for moving. 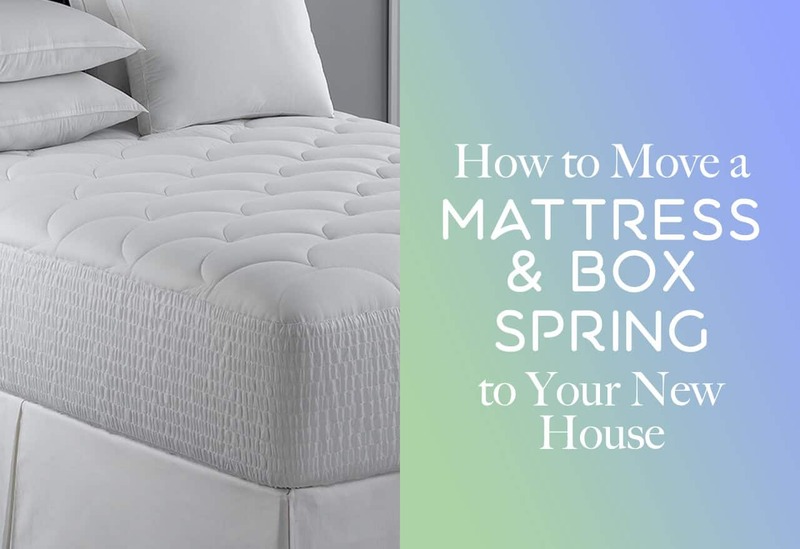 Thankfully, once you strip the sheets off the bed, packing your mattress and box spring is simple. We recommend investing a plastic mattress bag protector to keep your mattress and box spring from getting dirty or soiled while you’re transporting it. These bags come in sizes from twin to king; you’ll just need to order two to accommodate both your mattress and box spring. With the help of at least one other person, open the bag slip the mattress in and seal according to the instructions. If you’re moving locally and plan to cut down on moving costs by transporting small loads in your car, then you should be aware that most mattresses and box springs do not fit inside a standard vehicle. You may be able to borrow a pick-up truck or van from a friend or family member or use a large SUV and strap the mattress to the roof. If none of these options is available, consider renting a truck from your neighborhood home improvement center or spring for a U-Haul (which will also save you from making as many trips back and forth). For long-distance moves, make sure you secure the mattress and box inside an enclosed moving truck. The last thing you want is for one of these items to fly off the roof of your vehicle while you’re on the interstate. Transporting these items via the car rack may be illegal, depending on where you live. Check your local ordinances and traffic laws to verify the rules and regulations. The rope should be long enough to secure the mattress and box spring lengthwise as well as across the middle. Although the cord must be strong, you need to be able to tie it as well. Choose durable rope that is not too thick or difficult to maneuver. Lay a long piece of rope lengthwise along the roof of the vehicle. With the help of your assistant, lift the covered mattress onto the roof of the car, making sure it’s centered. If you don’t have a roof rack, you may want to lay a moving blanket down first to protect your paint job. Next, completely roll down all the windows. Starting at the front of the vehicle, wrap a piece of rope around the width of the mattress, then through the open passenger window and out the driver’s side window. Wrap the cord around 2-3 times in this fashion, then knot off. Repeat this process using the rear windows to anchor the mattress. Finally, to prevent the load from shifting forward or backward, take the lengthwise rope and pass it over and under the sections of cord tied lengthwise. Secure the two ends together in a knot. While this should be sufficient to secure the mattress, you may want to use extra rope or bungee cords to make sure it’s snug. Driving with a mattress and box spring on the roof of your vehicle present various challenges including blind spots, hazards, and different weight distribution. Take care on the roads and try taking side streets that are not as busy, if possible. Helping hands can also help secure the mattress during the drive by holding it through the windows. Keep in mind that all doors will be secured shut by the rope, so make sure the driver and passengers can squeeze in through the open windows. By following these steps, you can quickly and cheaply transport your mattress a short distance. If you’re moving farther, you’ll probably want to rent a moving truck or hire a professional moving company to carry your bedding for you. To request a free quote for your household or apartment move, fill out our free form today.